You invest in things like your home, car, and your child's college. Isn't it time that you invest in yourself? 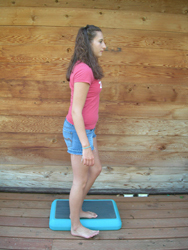 Thorough head-to-toe physical therapy evaluations with ongoing reassessment. A physical therapy session utilizing the most effective form of manual therapy - JFB Myofascial Release from a highly trained, advanced MFR therapist. One-on-one patient care; Physical therapist or PTA (physical therapist assistant) responsible only for YOU during your session. The same therapist every time. You will be responsible to pay for your physical therapy treatment at the time of service. Self Solace Physical Therapy, Inc. is a cash-based physical therapy business. You will be provided with the appropriate paperwork to submit to your insurance company for possible reimbursement. This is not a guarantee that the insurance company will pay. It is your responsibility to understand your agreement with your insurance company. If you need assistance with important questions to ask your insurance company to understand your benefits, feel free to contact us. You will be expected to give 24 hours notice for all cancellations. Failure to do so will result in a cancellation fee. Without 24 hours notice you will be charged the full amount of your scheduled appointment. This is paramount in our ability to provide you with one-on-one care. You will be prepared for scheduled physical therapy sessions, ready to be an active participant, and willing to have open and honest communication (i.e. unafraid to voice concerns/fears with your physical therapist). Due to the highly focused and individualized nature of the physical therapy sessions it is common to need fewer visits per week and fewer total visits overall. Your plan of care will in no way be dictated by insurance company standards, but instead by a detailed physical therapy evaluation, doctor recommendations, and your personal goals.